MIAMI (CBSMiami) – An Opa-Locka teenager is being held without bond after a court hearing and after Miami-Dade Police arrested him for shooting and killing a 71-year-old man. Jackson, according to police, has an extensive criminal history. Authorities say he was arrested for burglary in Miami Gardens and for burglary, display of a firearm and aggravated battery in Opa-Locka in May. They say he was arrested for possessing cocaine in September of 2011 and in April of 2011, he was arrested by School Board police for battery on a law enforcement officer. Vereen said he was taking the case because he was a friend of Jackson’s family and mother, who was identified in court records as Andrea M. Jones. 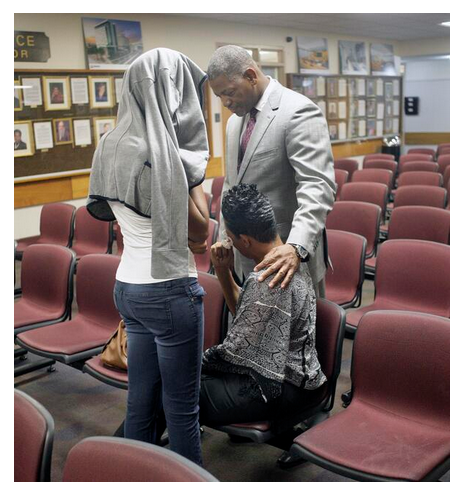 She declined to say anything about the charges against her son. Rod Vereen told reporters Jamal's actions might be the result of head trauma from an accident years ago. Accident? 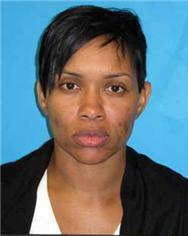 Andrea Monique Jones, 42, was convicted of child neglect in 2010. She is currently on probation. Rod Vereen wants to blame a bump to Jamal's head or a trumped up charge of police brutality but it is clear what Jamal's problem is, he was raised to believe violence is a normal way of life. Not only has this story landed with a loud thud in the media, most outlets are not even covering it. In fact, two of these videos have been removed from the few online outlets that did cover it. Soon Vereen will be parading Andrea Monique out with her Bible and rosary and a picture of Jamal when he was 12 - all signs of his thug life will be scrubbed from the Internet and a foundation will be started. Wait for it.